This topic contains 24 replies, has 5 voices, and was last updated by Bernd 11 months, 2 weeks ago. 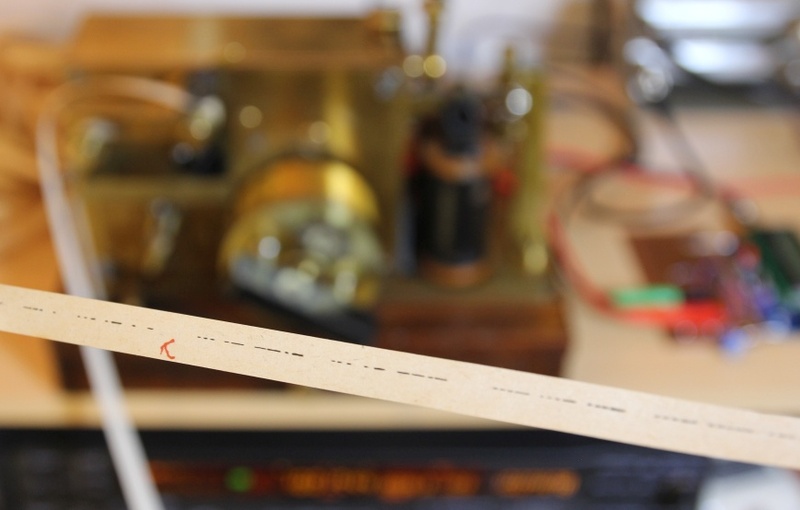 The transmitter start-up will begin at 11.30 (9.30 UTC) and the transmission will begin on 17,2 kHz CW at 12.00 (10.00 UTC). You can also watch a live video stream of the event on https://www.alexander.n.se or on our YouTube channel. No QSL-cards will be given this time and no List of Reports will be constructed but we accept shorter Listeners Reports to e-mail info@alexander.n.se or post your report here in our forum. my first attempt to receive the SAQ today. Signal was good but I expected it stronger. some fragments of the text but I could hear and write it down manually without big problems. Thanks for your effort and the successful transmission today ! Received RST 459 in UK. Good evening, your shipment has worked perfectly again. My long wire did not work QRM too big. Thank you for your work on the transmitter. Hej, Many thanks for your VLF transmission on 17.2kHz today. Strong clear signal here in London, UK. Looking forward to your next transmission. Good reception in the Netherlands! SAQ was -55 to -60 dB with noise floor at -80 dB. Sorry for mistake. My bad. I have received your sigs with RST 577 in Berlin-Tegel , JO62PN. Ant. magnetic loop 55cm dia. no signal in rothenburg (east germany). Thank you for operating. mni tnx for the good sigs! Using the SAQrx program by SM6LKM and ten meter wire to mic input, sigs from SAQ was -25 to -30 dB with niose floor at -80 dB. Had strong QRM from what sounded as RTTY very close to 17.2 most of the time. Test transmissions before acctual message was very well readable when in the clear, but the message was hidden by the RTTY. Signal strong and clear in JN73SN RX is a SDR Perseus. A big thanks to the SAQ team for the work. CW Signal received near Paris, France with various antennas : Marconi “Lazy L” ( tuned for 136 KHz), Miniwhip, and my 160m dipole. See you soon on air ! Signal (RST) was 535 in JN49BU. My receiving equipment: Airspy HF+ with SDR Console V3 and Mini Whip. Carlos Mourato CT4RK from Portugal. tnx for the good Signal. 594 in JO54TA. Signal was -105 dBm in JN36CE on my 18m vertical. RX is SDRplay with SDRuno software.